I must say, that’s a sweet little hairdo on my head, and in general, I think I look pretty cute. That said, I no longer wear horizontal stripes, especially when they are combined with puff sleeves. Here they only accentuate the fact that the dress looks just a tad shy of being too tight on me. I haven’t the foggiest idea what my cousin and sister are praying about, but it’s pretty clear that I’m not on the same page. Maybe they know something I don’t. 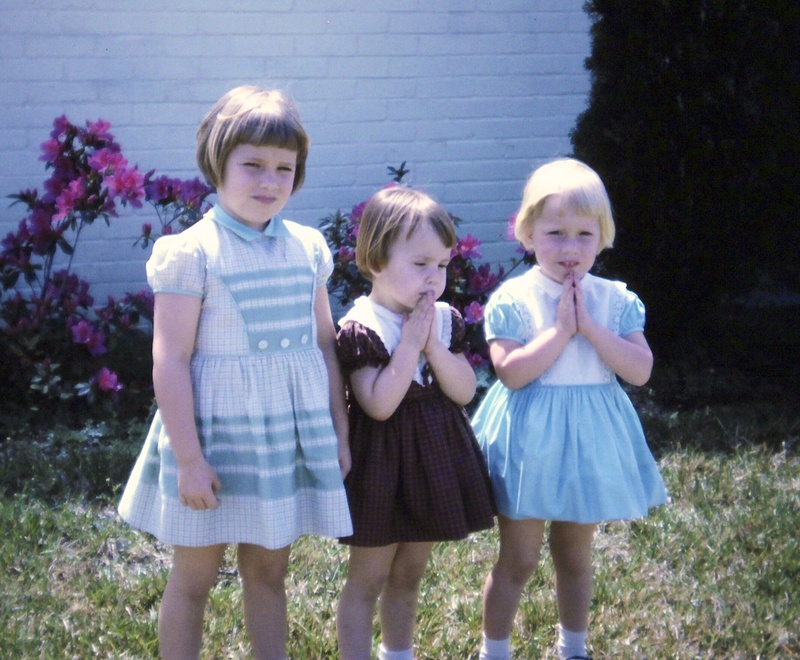 They were thanking God through prayers that they didn’t get a dress like yours!